Ann Lovejoy is a gardener, a national and international lecturer, and an award winning writer and author of numerous books. We’ve read her blog ‘Green Gardening with Ann Lovejoy’ for years. She graciously gave us permission to share a link to this beautifully written post. 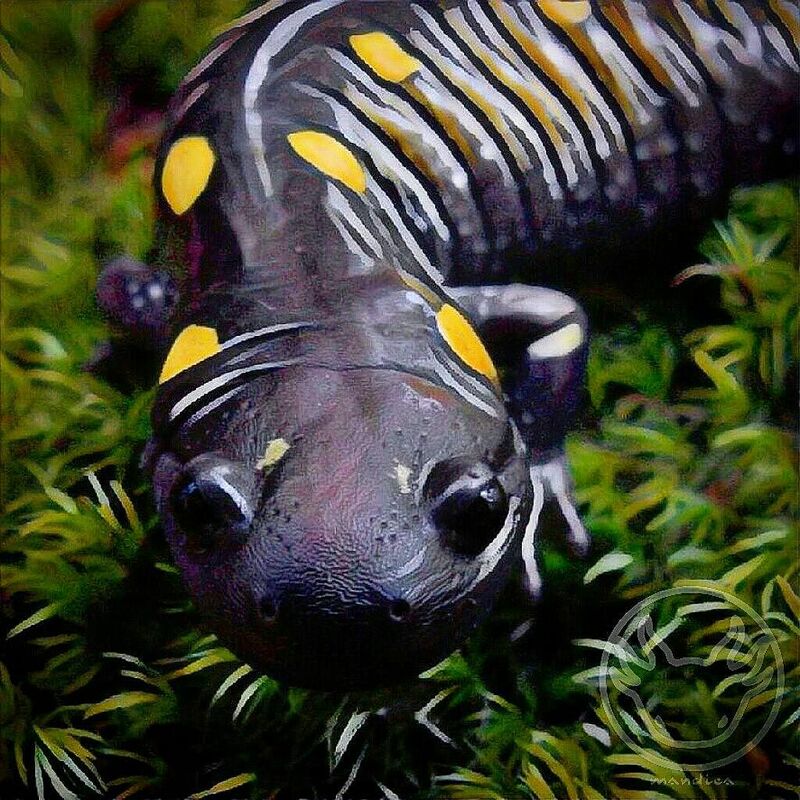 This entry was posted in Bees, Conservation, Pesticides, Pests, Pollinators, Xerces Society and tagged Ann Lovejoy on May 29, 2016 by beveritt. Growing up in the country near near Atlanta, I could hear Bobwhites making their distinctive Bobwhite calls in the woods and fields nearby; it is a beautiful sound. The woods and fields in and around Atlanta once were filled with those calls too. Bobwhite calls are now gone, another victim of habitat loss. But a remarkable thing happened yesterday right here in the heart of Buckhead. 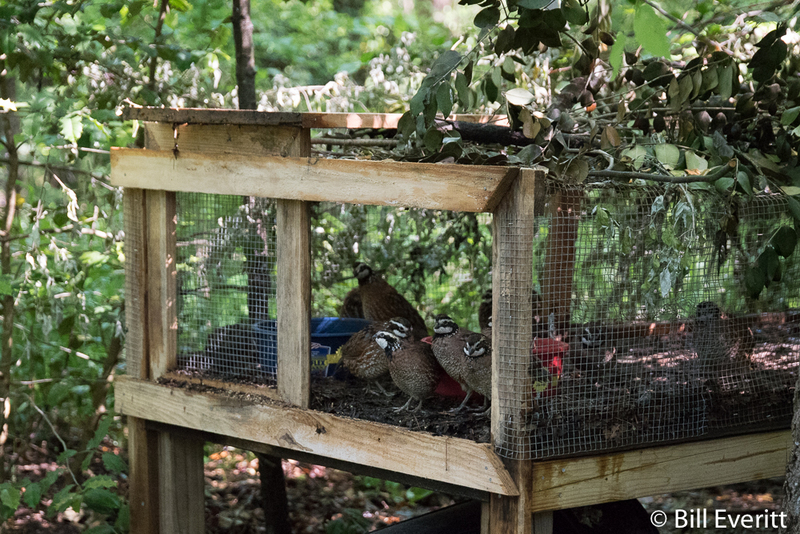 Twenty Northern Bobwhites were released on the 33-acre campus of the Atlanta History Center (AHC). 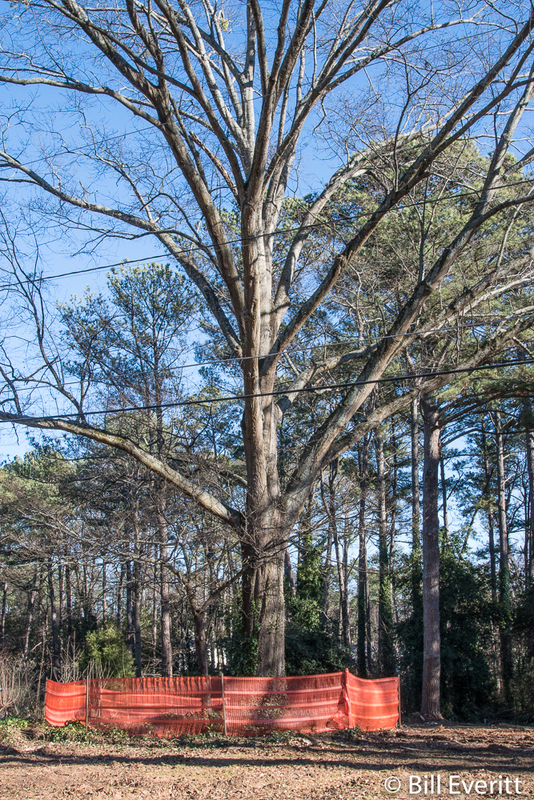 The hope is those calls will return to some of Atlanta’s urban woods. The credit for this idea belongs to President and CEO Sheffield Hale who was there for the birds’ release. Goizuetta Gardens and Living Collections Director Sarah Roberts and Manager of Animal Collections, Brett Bannor were also there and told us the focus is on release and conservation. 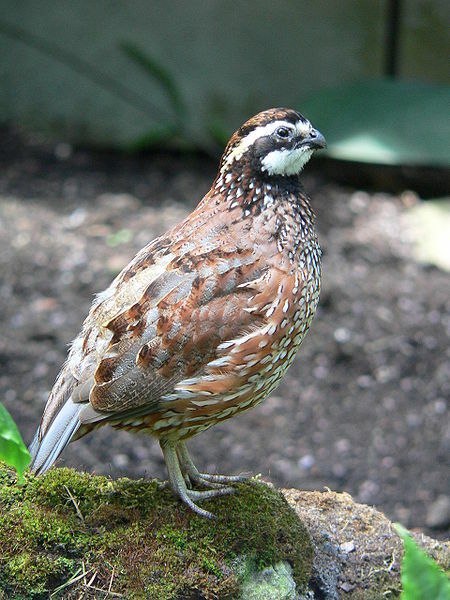 The Bobwhite quail is the only quail native to the eastern United States. They are predominantly seed eaters, but females eat insects when preparing to lay eggs and chicks eat insects too. The Bobwhite population has declined 85% since 1960 and 80% don’t live through the first year. But the History Center’s plan is to replenish their initial population with more birds in hopes of establishing breeding pairs. 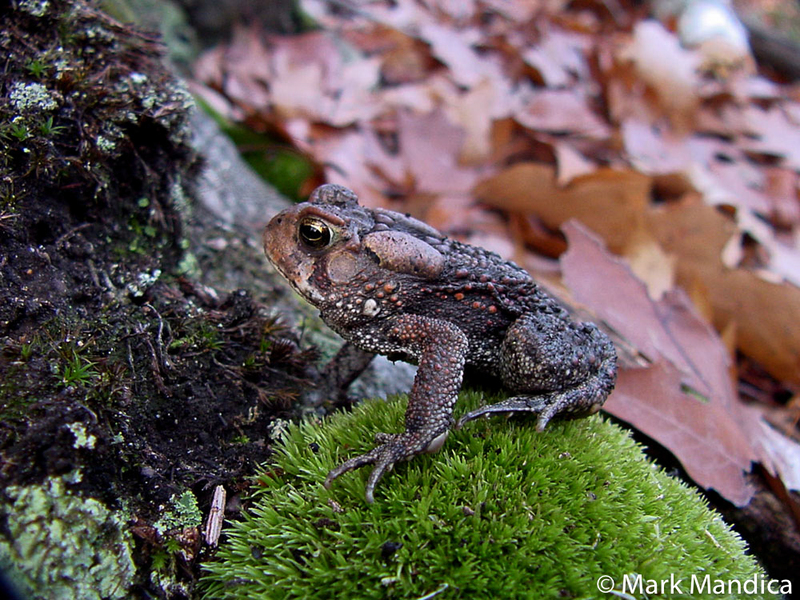 Bobwhites prefer early successional habitat, which is harder and harder to find. 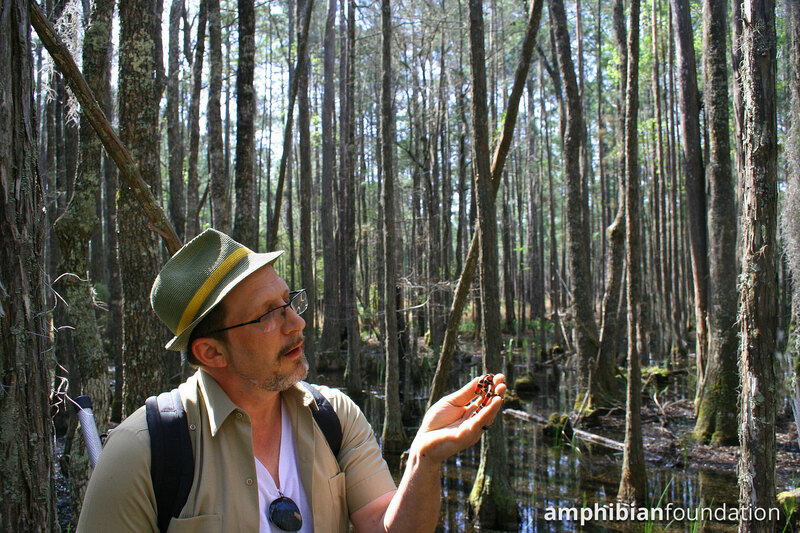 However AHC’s Swan Woods has 10 acres of secondary successional forest with strictly Piedmont natives. And now they have a wildflower meadow with native grasses and other plants, including partridge pea which Bobwhites love to eat. 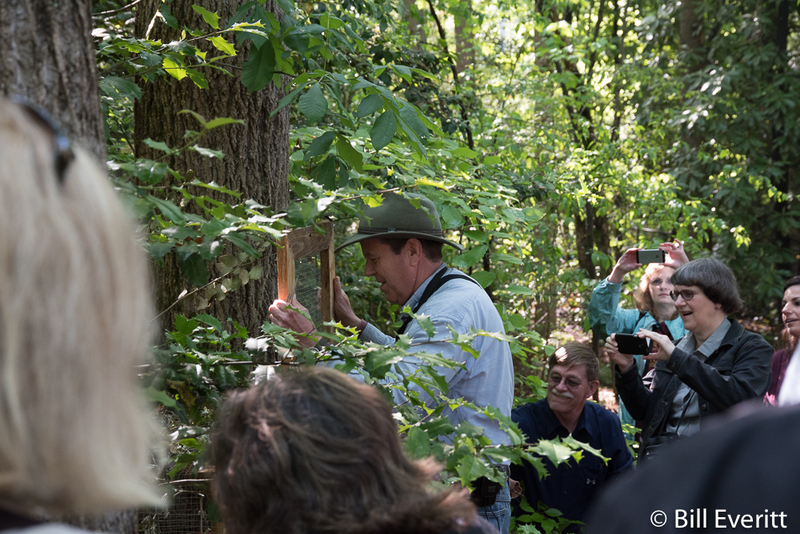 We were lucky to be on a tour hosted by Atlanta Audubon, part of the Atlanta Bird Fest which continues through May 15. Atlanta Audubon also has bird walks at the History Center in the summer and fall. We discovered that there’s much more to explore at the AHC than the main museum and Swan House. Extensive walking trails go through woods, fields and magnificent gardens. 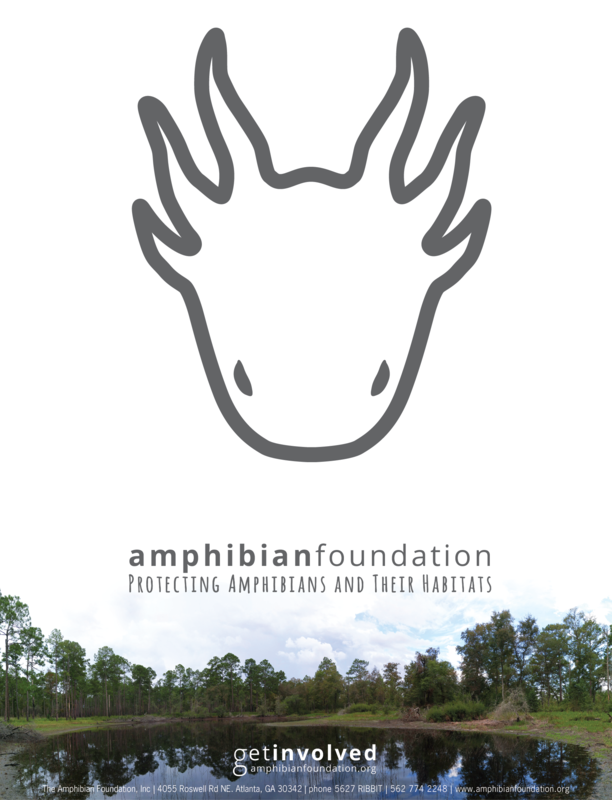 Conservation abounds and friendly staff is eager to tell you about it, such as an experimental American Chestnut orchard in partnership with the Georgia chapter of the American Chestnut Foundation. If you haven’t visited the AHC recently, check it out. Good luck all you Bobwhites. We’ll be listening for your call. This entry was posted in Atlanta History Center, Audubon - Atlanta, Conservation, Restoration and tagged Northern Bobwhite, Quail on April 24, 2016 by beveritt.